If you are looking for Christmas Stamps and products to make handmade cards you have arrived to right place. I'm Stampin' Up! Demonstrator in Europe and if you are in the UK, Austria, Germany, France or Netherlands you can buy the most beautiful paper craft products in my Independent Stampin' Up! shop Here! 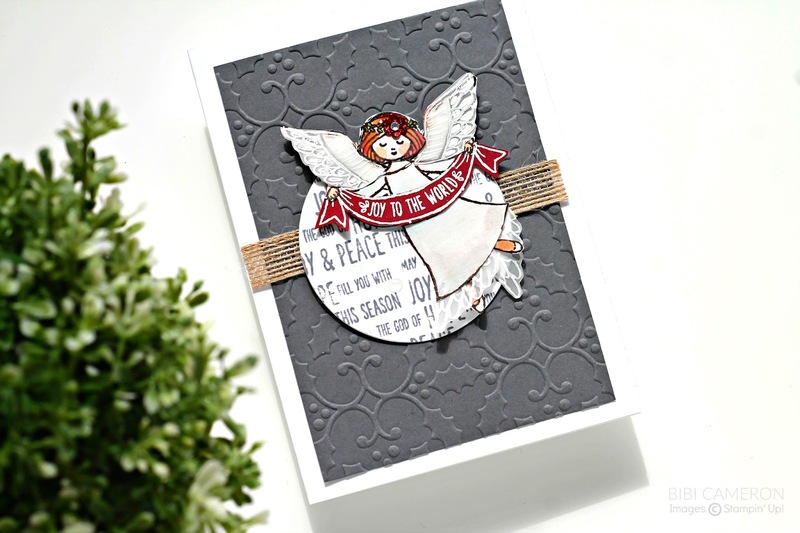 This is a quick post to share one of the cards I made using "The Wonder of Christmas" Stamp Set by Stampin' Up! in my last video. 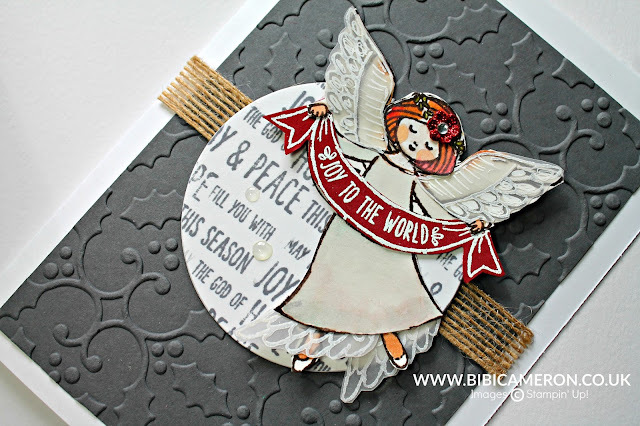 I adore the angel stamp in the set and I also made the card you can see in the video thumbnail below... Read more about it in a previous post here. And if you have a little bit of time let me know which card you like the most : the subtle or the bright? Thanks for stopping by and don’t forget that every order £25+ will receive a free thank you gift from me when adding "hostess code" at the check out . Click here to find the code and customer perks! Tags: Angel Stamp, Christmas Stamps, Holly Textured Impressions Embossing Folder, Stampin Up UK, Wonder of Christmas Stampin' Up! I love your artistic aesthetic so much. I'm drawn back to your blog on a daily basis. I really do love both of your Wonder Of Christmas cards equally, but for different reasons. They are both beautiful and beautifully crafted. Thank you for sharing your talent with us!